Tessa Jane’s passion for dance and stage design led her to a Fashion and Textile degree at the University of Central England followed by post-graduate degrees one at Homerton College, Cambridge. A decade of teaching honed her mixed media skills leading her to conceptual art. 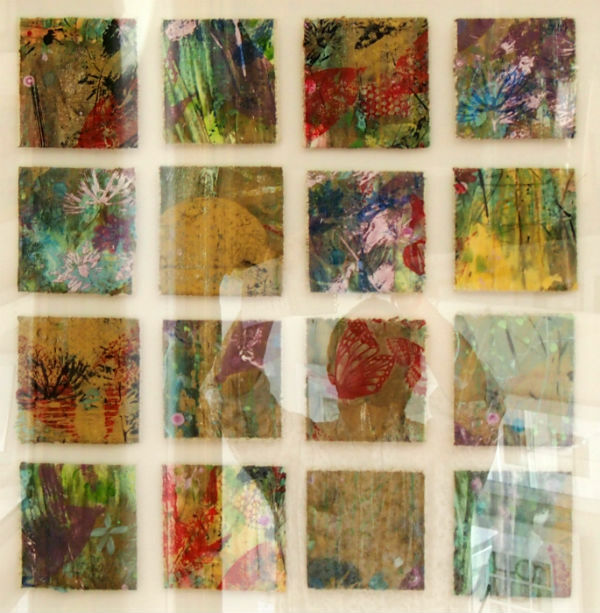 Her work has many layers, visually and conceptually, using printed, collaged, drawn, and stitched media. She transposes her drawings onto silk-screen and builds the messages and stories by layering. This is often in response to poetry and the written word - sometimes her own. The places portrayed are precious to her, to be sustained and protected. It is fundamental to her practice to recycle and repurpose, sourcing discarded objects and giving them renewed value. Tessa was awarded the Emerging Artist Bursary 2014 from the Thelma Hulbert Gallery. Her work speaks volumes of her practice and principals, described as the next Piper and winning the Oxford International Art Fair 2016, Tessa Jane’s work will have a strong narrative and pattern to unpick piece by piece until you discover the raw materials of the human condition.